1. 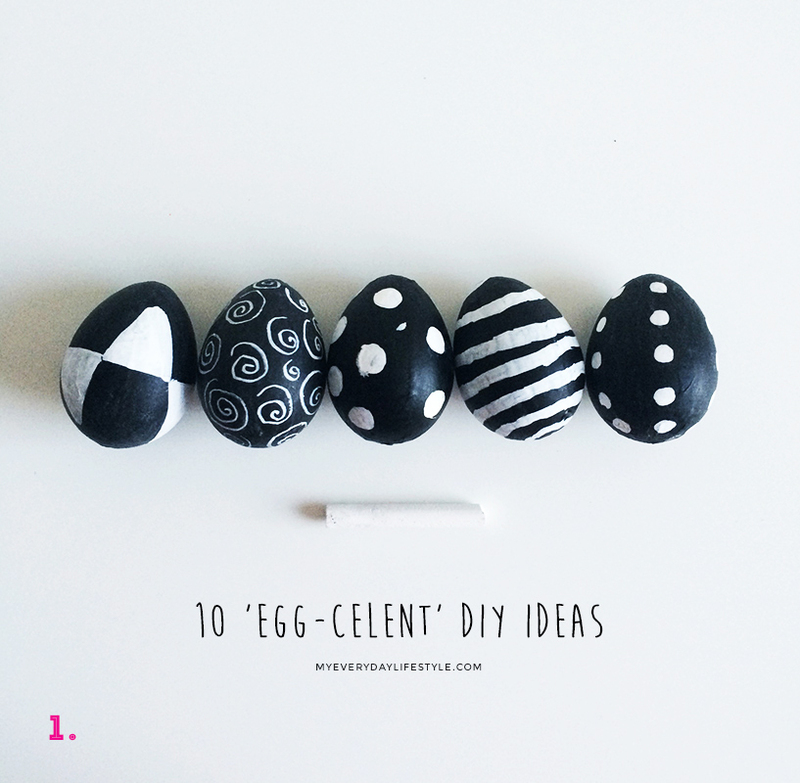 These chalkboard eggs are simple & creative. I'm so last minute when it comes to decorating eggs. During the week of Easter, my child never fails to ask me, "Are we ever gonna decorate eggs?" Thank goodness for places like Pinterest where you can get so many decorating ideas. Also found this great article on tips to making the perfect boil eggs: How to Make Hard Boiled Eggs: Your Friendly Guide to Making a Perfect Boiled Eggs. Here is a roundup of some creative & quick ideas I thought would be perfect for last minute decorating.